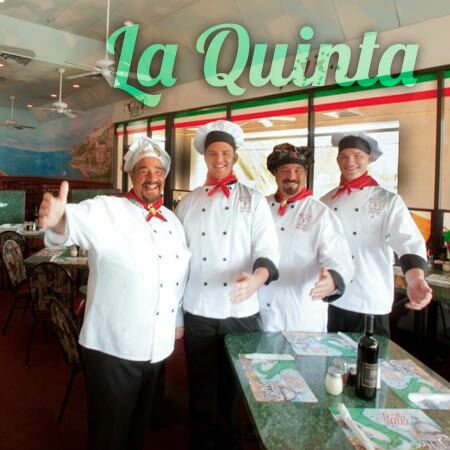 Top rated, best, Italian food, pizza,pasta,subs,veal,chicken,steak,prime rib,catering in Palm Desert, Palm Springs, Coachella, Indio, Bermuda Dunes. The story of Mario’s Italian Cafés began in 1961 when founder Mario Del Guidice started his career in Brooklyn and Queens, New York. 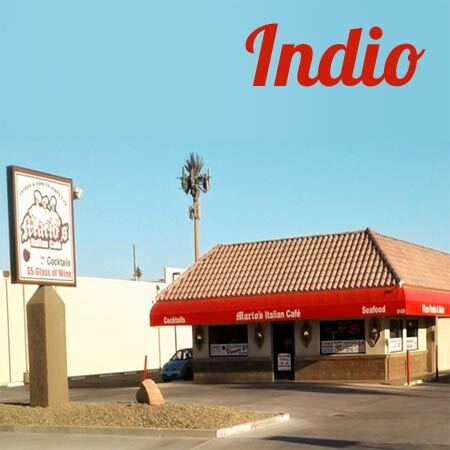 After vacationing in Palm Springs, Mario moved his family here in 1972 and opened his first Mario’s location. 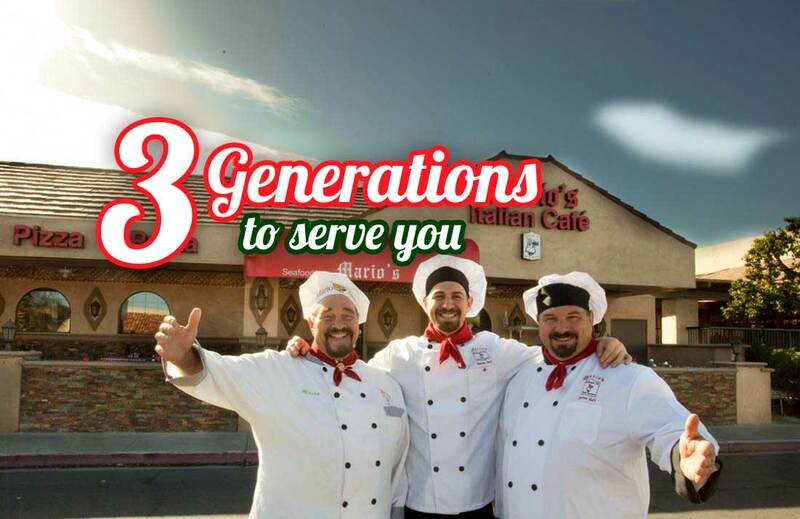 Now boasting three generations of restaurateurs, Mario’s Italian Cafés has served The Coachella Valley for over 40 years. 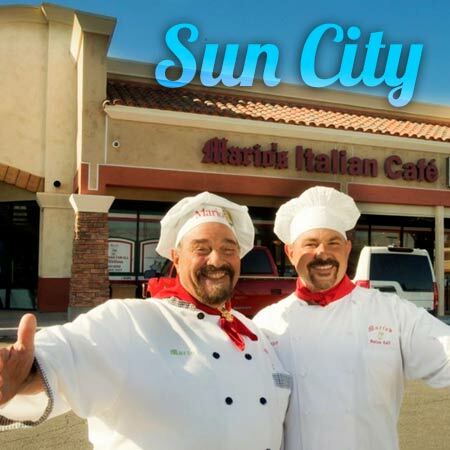 Mario and his family have been delighting residents with old-world family recipes prepared at their seven award-winning locations. 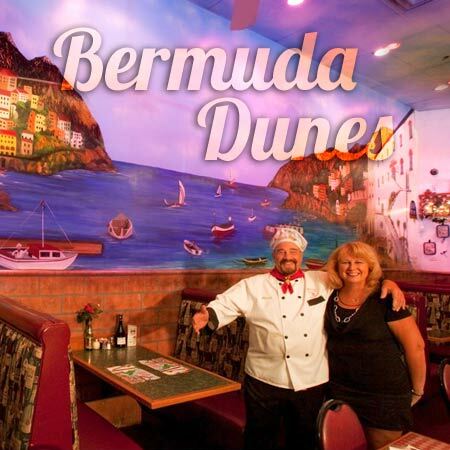 To this day, Mario starts every morning at The Bermuda Dunes restaurant where he makes fresh sauces, sausages, and pastas. Throughout the day, he spends time at all seven Mario’s restaurant locations. 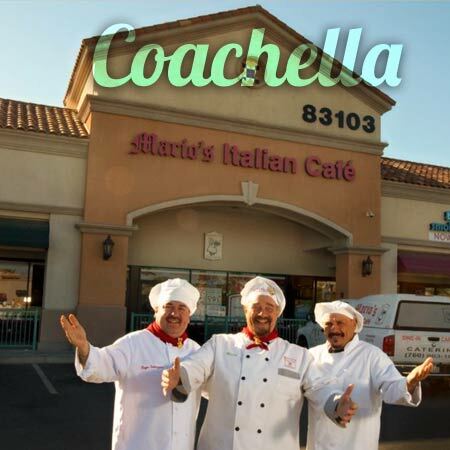 What sets Mario’s Italian Cafés apart as a restaurant is their selection of fresh pastas and sauces. Featured on the menu are Fettuccini, penne, spaghetti, linguine, and angel hair pasta. When combined with the sauce and toppings of your choice, including Bolognese, al pesto, Alfredo, creamy marinara, carbonara, and meatballs, Mario’s promises to bring the taste of old Italy to you. Similarly for pizza lovers, Mario’s hand tosses their New York style pizzas and bakes them in brick ovens. Together with their unique specialties and homemade ingredients, Mario’s offers a tremendous pizza selection on their menu. 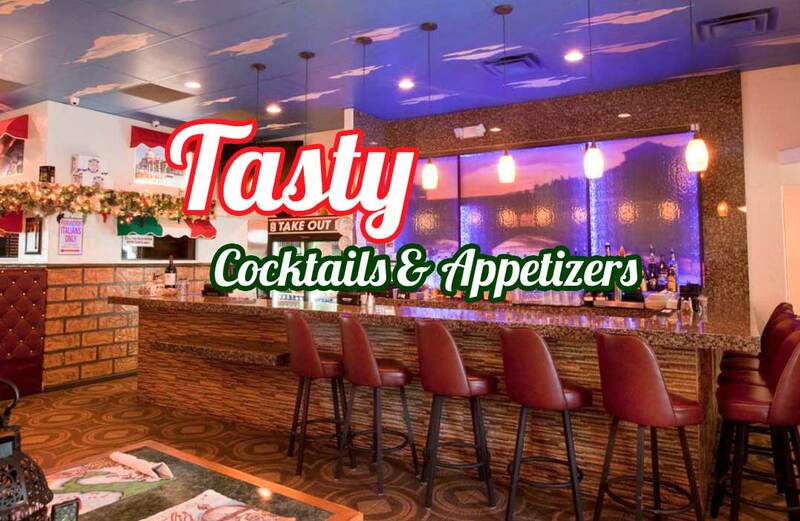 Mario’s truly is your neighborhood Italian café — a full-value Italian restaurant coupled with pizza-house prices and dinner-house quality. 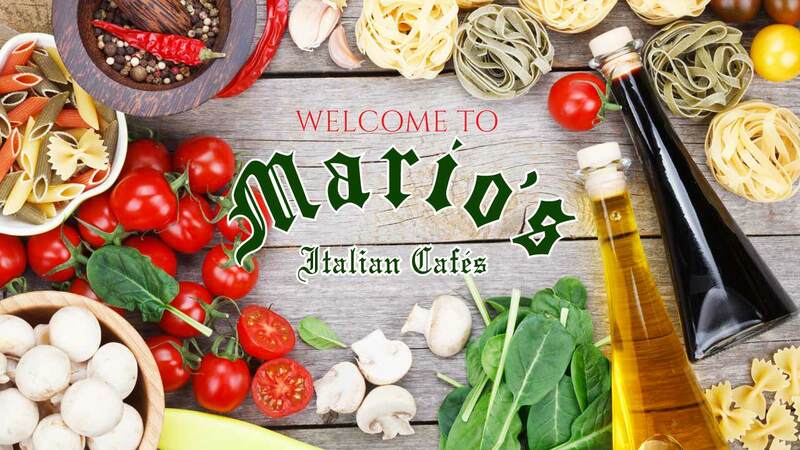 In addition, Mario’s Italian Cafés aims to bring an enjoyable family atmosphere to complete your dining experience. From the Canals of Venice to the Ceiling of the Sistine Chapel, Mario’s has decorated each restaurant location with scenes from his beloved ancestral home. As restaurateurs, Mario and his family love what they do. In addition, they have established their presence within the local community. 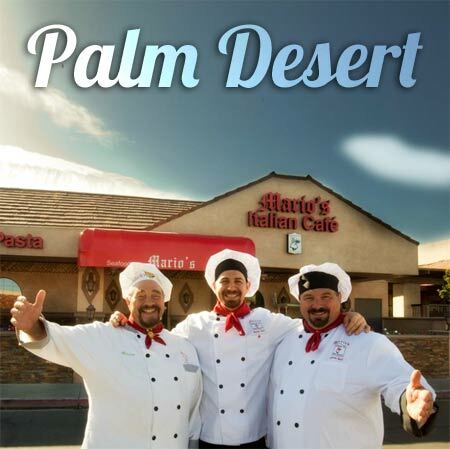 Being an active fund raiser, Mario’s is involved with 11 local high schools, The American Cancer Society, the American Red Cross, and Desert Arc.